Around the turn of the century, a wave of DJ's made their prominence known by following in the tracks of D.J. Shadow and his monumental Entroducing..... That record, released in 1996, set a precedent that Hip-Hop producers needn't live in the shadows of their rapping counterparts. Rather, they could awaken the souls of lost musicians through dusty vinyls, combining them in imaginative ways, kindling a newfound appreciation of music. RJD2's Deadringer, The Avalanches' Since I Left You, and Cut Chemist's The Audience's Listening were just some of those acclaimed records to sprout that ideology. However, longevity in the field was not guaranteed. Not only did D.J. Shadow struggle to cope with Entroducing.....'s unparalleled success, RJD2 did with his respective debut as well. As for The Avalanches and Cut Chemist? Well, one took 15 years to release their sophomore album, in the form of 2016's AOTY Wildflower, while the other just now completed his 12-year drought with Die Cut. While the pressures of such unusual genres as Plunderphonics and Turntablism come into play, dedication and a lovingness of one's craft have caused each heavily-delayed project to imitate that of its much older brother. In many ways, Die Cut acts as a blast from the past, a high-paced romp around the same genre-bending Cut Chemist bore 12 years ago. Unfortunately, time passes and the coolness of trends do too. Whether a positive or negative, many tracks here feel like direct outtakes of The Audience's Listening sessions, with Cut Chemist going so far as to reuse samples he's particularly fond of. As a nostalgic trip, this ode to a richer time of sampling proves fruitful. That much is seen on opening track 'Metalstorm,' which acts both as a prelude to the LP and a sequel to 'Storm,' a track that also featured a back-and-forth rap battle between the two long-withstanding underground emcees Edan and Mr. Lif. Elsewhere, familiar breakbeats juggle new territory, whether that be 'I Gotta Weapon' (recalling 'The Audience Is Listening Theme Song') or 'Rhythm Method' (recalling 'A Peak In Time'). Cut Chemist even provides a part two to 'The Lift,' a rather forgettable, but personal, 90-second interlude, in 'The Lift, Pt. 2.' As an original fan of The Audience's Listening, nothing satisfies me more than Die Cut's creator cherishing and revisiting what was previously his only album. 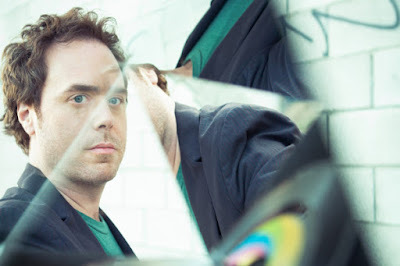 Like much of the genre Cut Chemist revels in, there's a great deal of musical appreciation to behold. No grand statement or general theme can be surmised. Die Cut is merely music for the sake of colliding itself. Perhaps the most interesting new territory Cut Chemist explores is that in which Laura Darlington assists. Both 'Home Away From Home' and 'Home,' beyond uniting under clever tracklist distancing, veer into a calm, emotional palate Cut Chemist hadn't previously shown. The two tracks feel influenced by the occasional female-led Trip-Hop of Massive Attack or Tricky, along with Darlington's own work throughout Flying Lotus' discography. There's also the Wonky-esque inner-workings of 'Madman,' which acts as an improvement over D.J Shadow's various attempts on The Mountain Will Fall. I'd be remiss to not mention 'Moonlightin' With Biz,' a Boom Bap track whose sole purpose falls on Biz Markie touting his, and Cut Chemist's, peculiarities. This adds more proof (with The Avalanches' 'Noisy Eater' as evidence A) that Markie, despite eclipsing 50 years of age, is more than capable of holding a track down through his wacky personality alone. Lastly, Die Cut's necessary bonus track, 'Die Cut (Wrap),' finds Myka 9 riffling off a senseless, but breathless, single verse for five minutes over scatterbrained breakbeats. While it's my least favorite due to the lengthy freestyle mess, there's no denying it's something Cut Chemist hadn't showcased before. However, as a purist to Cut Chemist's idiosyncratic style, I find myself returning to Die Cut's revising moments. While nothing (regrettably) reaches the level of sheer creativity and greatness as 'The Garden,' or comes barreling in with a fistful of energy like '(My 1st) Big Break,' a handful of tracks do more than their fair share to challenge The Audience's Listening. Three of these can be attributed to Hymnal, who took his slick, slack jaw style on 'What's The Altitude' and spread it out over 'Work My Mind,' 'You Want It, I Got It,' and 'Plane Jane.' Each track, the former also featuring Jurassic 5 rapper Chali 2na, the latter The Precious Hectic, represent some of Die Cut's best works. On 'You Want It,' Cut Chemist steals the show with thunderous percussion and scaling synths, something that comes to a head in the rampant escalating bridge. On 'Plane Jane,' it's Hymnal doing the honors, crafting a whimsical Psych-Folk love tale that sounds equally inspired by The Beatles as it does Pigeon John. Die Cut lives and breathes by Cut Chemist's veneration of music, to the point where influences as drastically different as those (and all the aforementioned talents) isn't a concern. Like the artist himself vomiting shredded vinyls on the cover, these are the moments that fascinate him, not ones that'll appeal to a wide audience. That is to say Die Cut isn't, at all, in tune with the music styling's of the modern era, and for that the project will be largely ignored. Reuniting a posse of under-respected talents over a decade past their then-tempered prime isn't exactly a method for notoriety. But it's exactly that respect towards what Cut Chemist holds dear that causes Die Cut's convivial success.